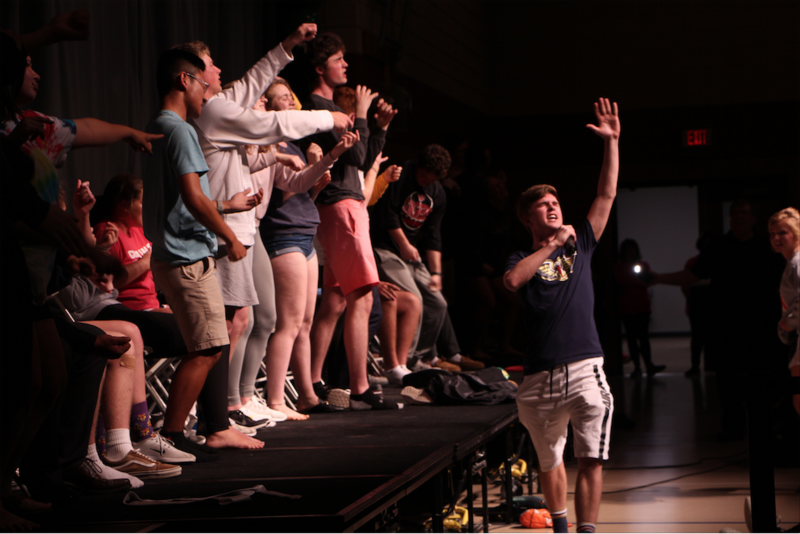 Cedar Falls continued the prom celebration with the annual after prom party hosted by CFHS parents at Orchard Hill Church. 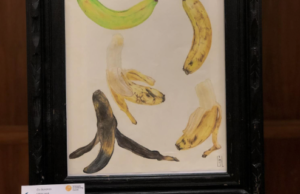 Along with local Cedar Falls businesses, stores like Insomia Cookies, Scratch and coffee shop Sidecar that contributed food, coffee and other activities. 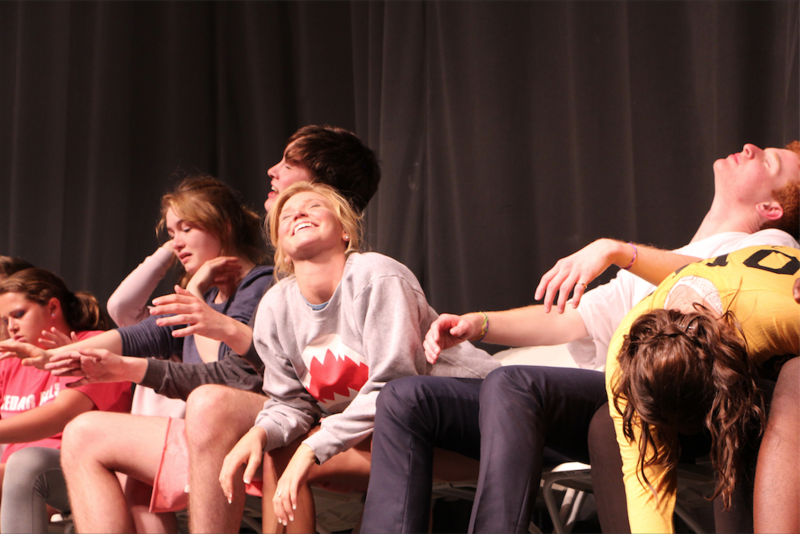 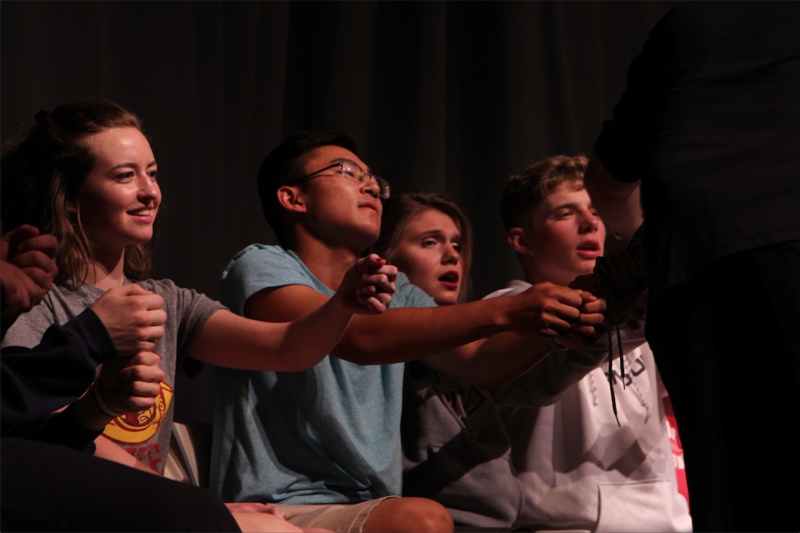 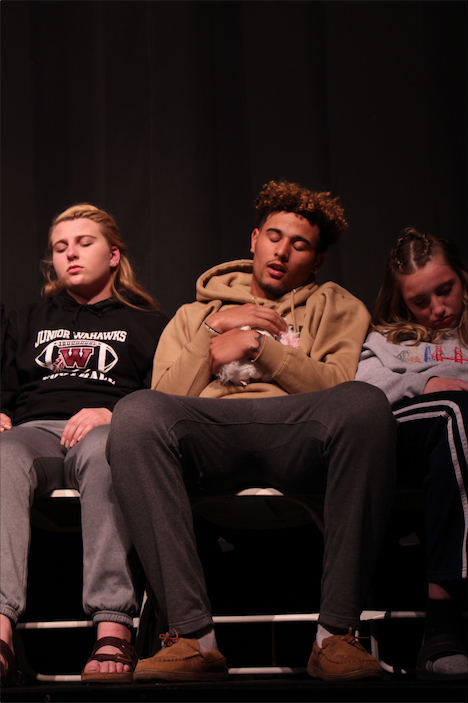 The popular hypnotist show with Dr. Al Snyder ended the night in laughter. 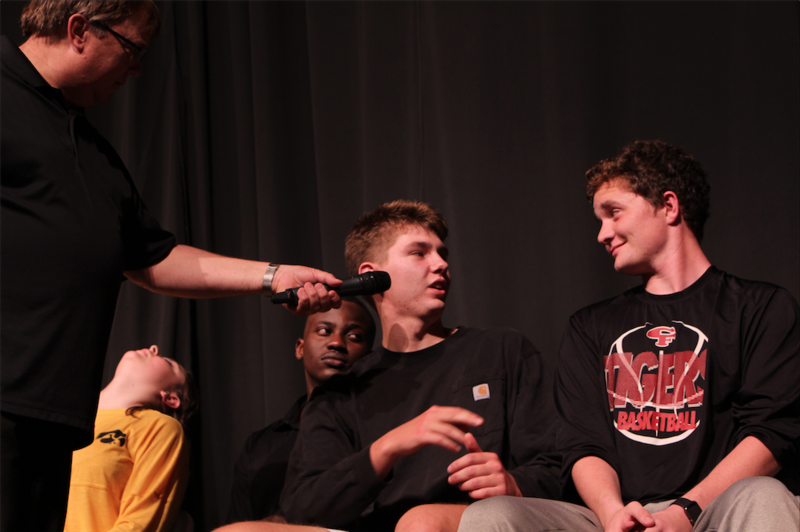 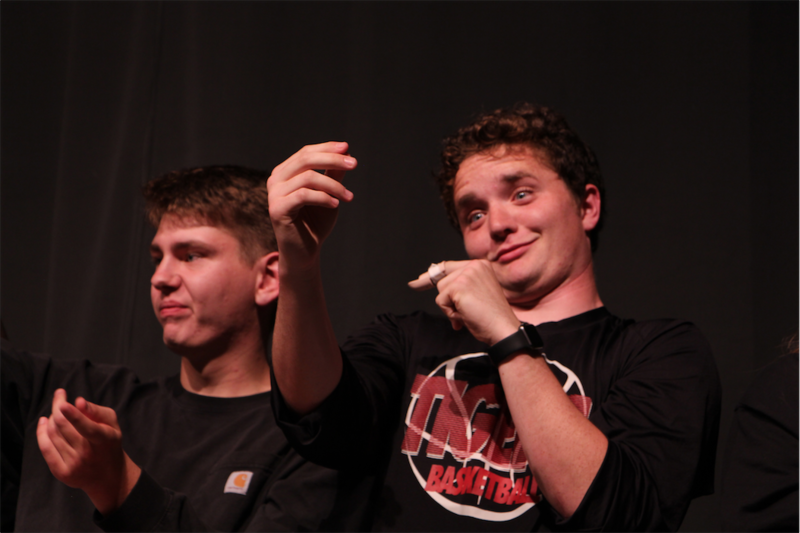 Junior Joey Dunning gets his picture taken by hypnotist Dr. Al Snyder. 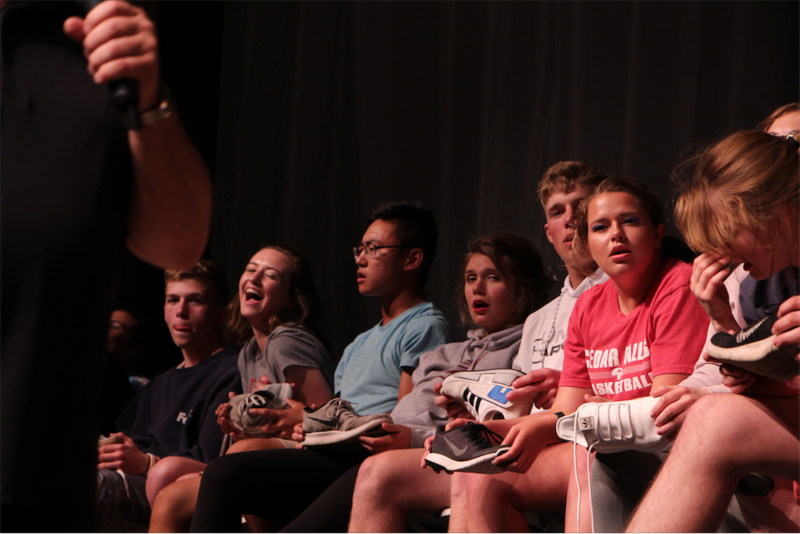 The hypnotized group also went fishing, and all had different ideas of what bait they were going to use. 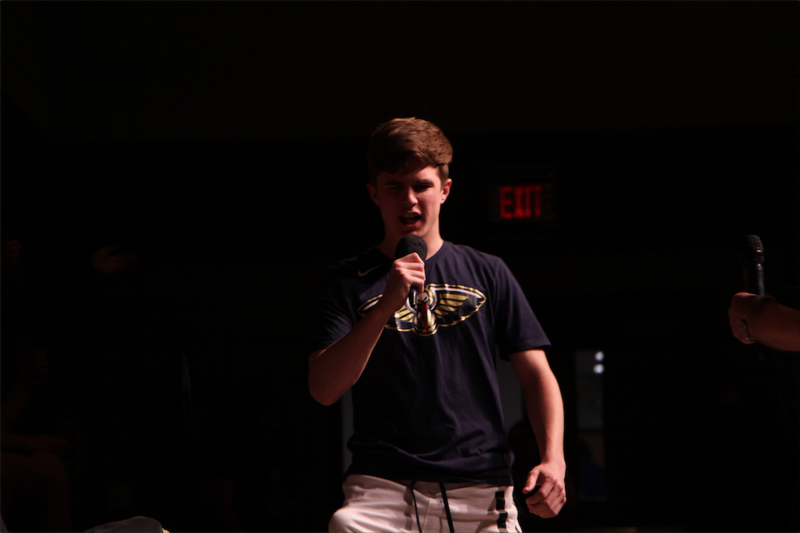 Senior Will Burken said he would use his foot to catch the best fish. 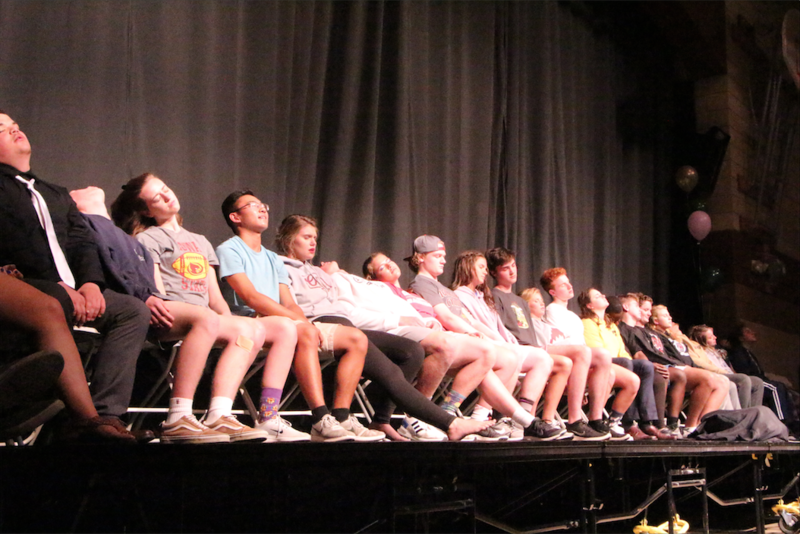 Ruthie Rider smiles as the hypnotized group thinks they are flying a plane.